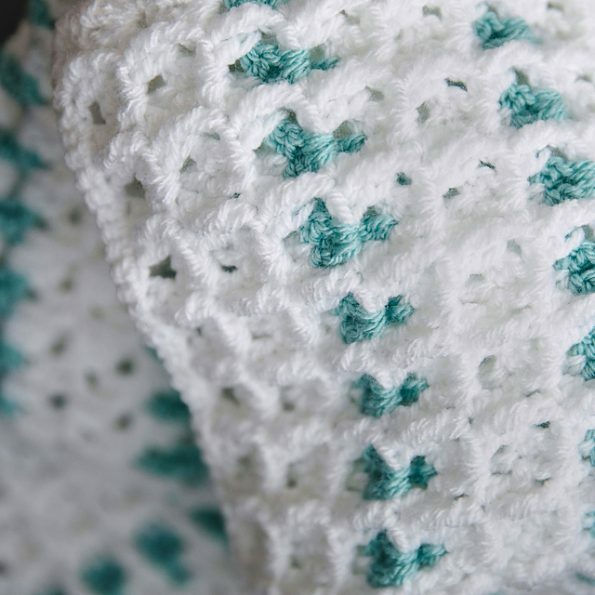 I have a beautiful blanket for you for your child. It is made in two neutral colours. It fits girls and boys. This is a free pattern. You can download it safely below. The blanket has an incredible texture and stitching. It looks perfect as a whole. The project will be completed quickly and easily. Everything depends on your commitment and skills. The tutorial is very well written. Use the following to work Paintbox Yarns Simply Aran. Blanket size is 25″ x 33″. 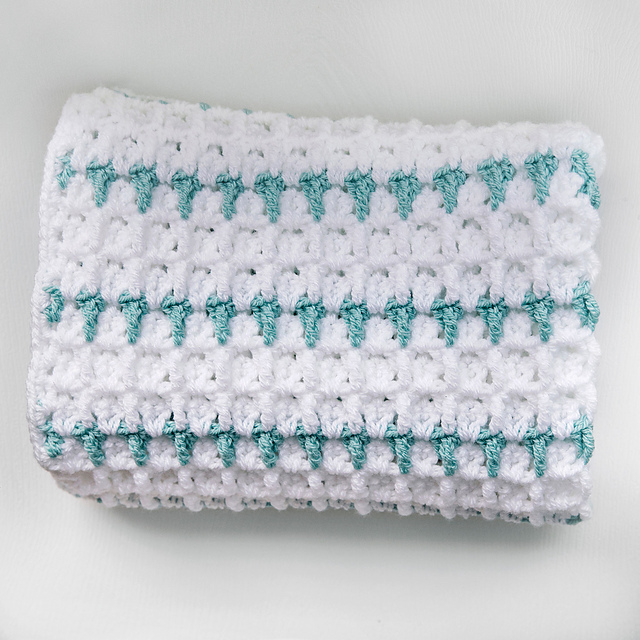 Rumi Baby Blanket Free Crochet Pattern is here.